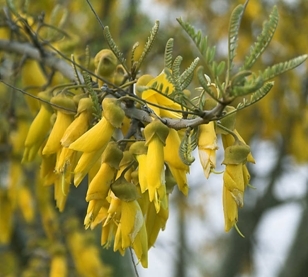 Until the turn of the century, there were three species of Kowhai, Sophora, recognized in New Zealand. 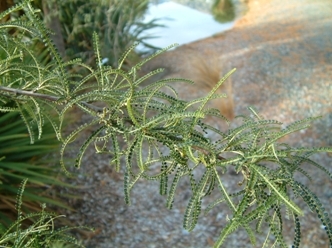 S. microphylla was the most common species, growing generally throughout the country. 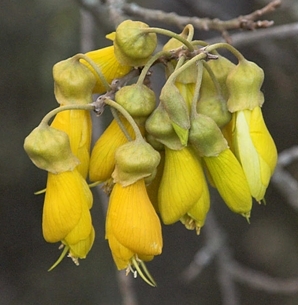 S. tetraptera, the Taupo Kowhai, with larger leaflets and flowers, was particularly widespread in the Taupo area and extended across to Hawkes Bay and Wairarapa. 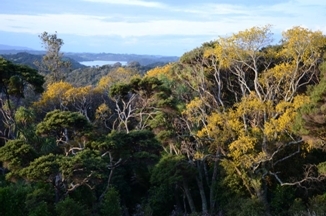 S. prostrata grows on the dry hills of Marlborough, where it forms very tight thickets of densely divaricating stems up to three metres across and two metres high. 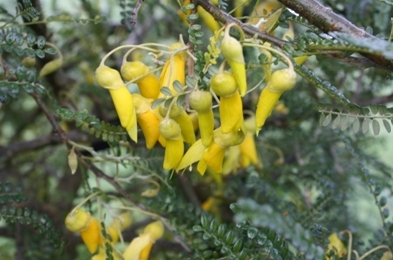 In 2001, a botanical review of the Sophora genus was published by Landcare botanist Dr. Peter Heenan. 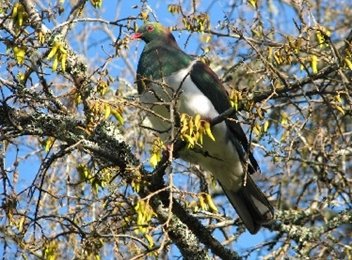 This increased the number of recognised species to eight, including the original three. The distributions of all these species are shown on the map. 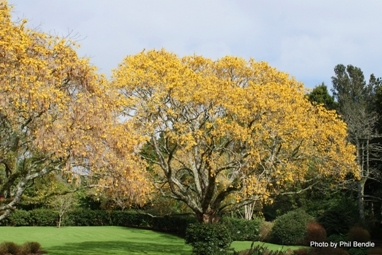 At this time, Denis Hughes of Blue Mountain Nurseries, Tapanui, West Otago, a long time friend of Heritage Park, developed an interest in Kowhais and set about collecting good forms of all the newly identified species. Along the way Denis collected good garden forms and cultivars, and a number of interesting wild hybrids. This planting of Kowhais is Denis’s collection. 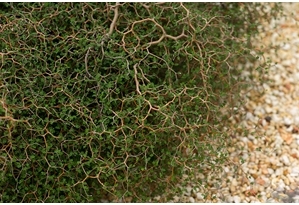 As a nurseryman, he is developing plants which flower at a young age, by grafting; these plants also tend to grow into more compact shrubs, more suited to the conventional garden.